Lake Kenyir, Terengganu - What to do? 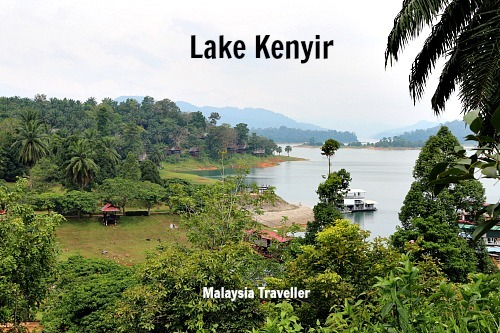 Lake Kenyir (Tasik Kenyir) is the largest man-made lake in Malaysia. There are various estimates of its size but Tourism Malaysia says it covers 209,199 hectares. 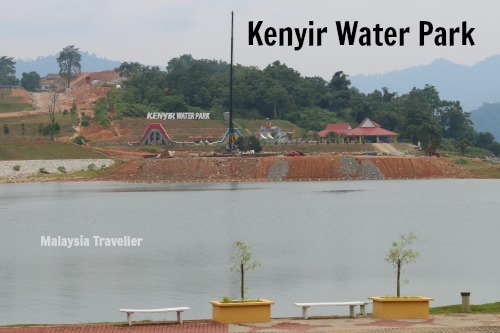 It was formed from 1978 to 1985 by damming the Kenyir River. The dam produces hydro electric power and helps control flooding in Terengganu State. The valleys and plains behind the dam filled up with water and the hilltops and uplands remained to form islands, some 340 of them. River fish soon adapted to their new environment and today this interestingly shaped freshwater lake has become a challenging spot for anglers to try their skills. The water level of the lake goes up and down according to the seasons and is at its fullest and most beautiful during the March and April wet season. Anglers on the other hand prefer the dry season around August. Boat trips. The only way to access many of the sites is by boat, either by chartering a boat from Pengkalan Gawi jetty or joining an organised tour. Houseboat. There are a number of houseboats which provide sleep-on-board accommodation while touring the lake. They tend to cater for large groups so if you are only a couple or small family you would have to pay a lot to book the whole houseboat. Many of the websites advertising houseboats seem to be out of date. Here is the Facebook page of one operator who appears to be still in business. There are probably others. Kayaking, canoeing and rafting are other water borne activities available here. I did not see any sailing - probably not enough wind. Jungle Walks. This is an exciting destination for eco-adventurers wanting to experience dense forest and natural wildlife. It is supposedly possible to access Taman Negara (national park) from here via the Tanjung Mentong entryway but a knowledgeable guide would be required. Caving. There are a number of caves in the limestone formations surrounding the lake. 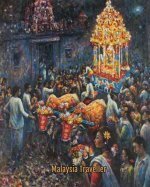 The most notable is Gua Bewah where Neolithic age items such as axes, tools and utensils have been discovered. Nearby Gua Taat has some impressive stalactites. Waterfalls. There are around 14 waterfalls feeding the lake. Lasir Waterfall, located about 16 km from Pengkalan Gawi, has an impressive drop and is a popular spot for boat tours to visit. You can find a list of Lake Kenyir’s main waterfalls on this website. Fishing. Lake Kenyir is one of Malaysia’s top inland fishing locations. The ferocious Giant Snakehead is the top predator in these waters. Anglers should note that fishing is only allowed at certain areas. Bird Watching. 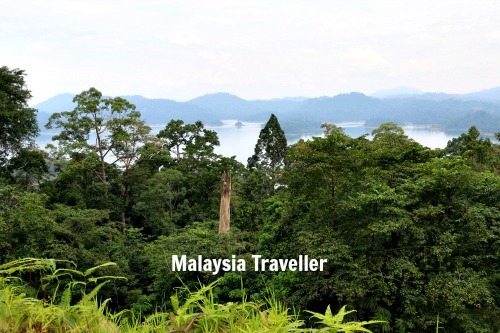 It is believed this area is home to about 350 species of birds, including 9 out of 10 of Malaysia’s hornbill species. Kenyir Elephant Conservation Village. Here you can ride, bathe and observe a herd of 13 rescued elephants, just minutes away from Pengkalan Gawi. Kenyir Water Park. This is a small water theme park with a swimming pool, slides, children’s pool and one of those floating inflatable obstacle courses. Open 10:00 am - 5:30pm, Adult RM 25 and Kids RM 15. Price includes boat transportation. Tropical Park. Located on Pulau Tekak Besar, Pulau Sungai Tekak and Pulau Anak Tekak about 15 minutes by boat from Pengkalan Gawi, this garden boasts 1170 trees from 110 rare and exotic fruit species such as the Terengganu Cherry, Asam Gelugor, Bacang etc. Orchid Park. Located on Pulau Hilir Selimbar, Pulau Hulu Selimbar and Pulau Belit which are linked together by hanging bridges. Ten minutes boat ride from Pengkalan Gawi, this garden contains a wide selection of forest orchids and orchid hybrids, some native to Malaysia and some imported. Bird Park. On Pulau Terengganu Mati, 7 minutes by boat from Pengkalan Gawi. Enjoy peacocks, swans, geese and other species. Herb Garden. Located on Pulau Sah Kecil, 7 km from Pengkalan Gawi. this park has 230 species of herbs such as Tongkat Ali, Kacip Fatimah, Cats Whiskers etc. There is an interpretive centre and a reflexology path. Kelah Fish Sanctuary. Malaysian Mahseer fish are raised here. You can swim with them for an extreme fish spa (look more like piranhas to me). Treks and a suspension bridge are available here. Butterfly Park. Located on Pulau Lubuk Geras, 5 minutes by boat from Pengkalan Gawi. I have marked most of the above attractions on this map. Zoom in and pan to get a closer view. Click on the top right corner to enlarge the map. As mentioned you will need boat transportation to reach many of these places. As at October 2016, The Lake Kenyir Resort hotel at Pengkalan Gawi is closed until further notice for renovation. 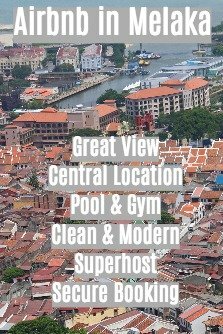 To see a details of other nearby hotels at discounted rates please click on the Agoda advert or search box below.